Today, Friday March 3rd, is a day of celebration for wine drinkers, as today is National Mulled Wine Day. A great holiday to celebrate with the cold weather on the way out and the crisp Spring weather on the way in. Mulled wine is most commonly drank during the hard winter to keep spirits high and your body warm, but really, drinking mulled wine can be done at any time, especially if the weather has a touch of a chill. Made up of your choice of wine, I used Cetamura Chianti, and a blend of spices, [HERE] is a link to a great recipe, mulled wine is a great drink to share with friends and family, and is incredibly versatile in what spices and how much of each you want to taste. 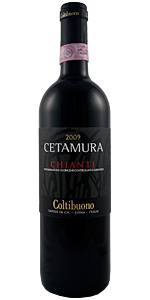 Cetamura Chianti hails from Tuscany, Italy from the Chianti Sub-region, built from Sangiovese and Canoiolo grapes this wine has very rich aromas of dark fruits, including cherry & blackberry, with a touch of cinnamon & clove in the finish. This not only makes using it for mulled wine a great combination of flavor, but is also a very pleasing experience when drank without the additional spicing or just a flavorful meal and good conversation.